Bachelor of Science in Interdisciplinary Engineering - Interdisciplinary Engineering students are exposed to the basics of science and engineering, while also developing their skills as leaders, systems thinkers and engineering designers through engineering leadership and business courses as well as a projects-based course sequence. Doctorate in Engineering and Computing Education - Engineering and computing education doctoral students conduct and direct research in engineering or computing education. 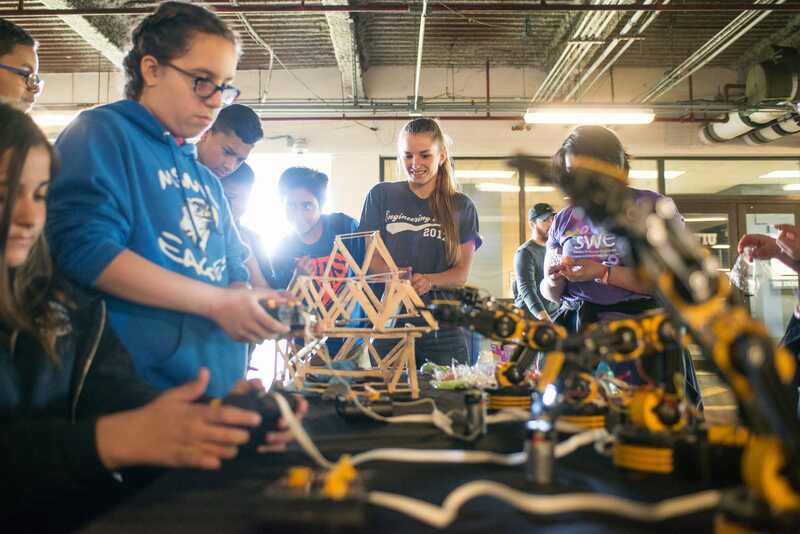 Students also develop skills as educators and address critical issues facing engineering and computing education, especially in equity, diversity, and inclusion. This program seeks to develop students for a diverse set of professional trajectories both inside and outside a university/college setting. Please reach out to SUCCEED faculty for additional information. What is engineering and computing education research? Ever wonder why your courses are designed the way they are? Why one concept is learned before the other? If a certain piece of technology or an activity are actually helping you learn the topic? Or, if there were better ways to prepare yourself and your classmates for your post-graduation career? Ever think about how colleges or high schools could better support the experiences of ALL students? How educational policy changes or could change? Ever consider how engineers and computer scientists collaborate with one another? How they make decisions in a fast-paced work environment? How they adapted to their new job after graduation? Examining the experiences of students (at all levels), including but not limited to, their motivation in a given context, career pathway, identity development, skill development, etc. Within engineering and computing education, we believe research on the teaching and learning of an academic discipline benefits from knowledge and expertise of the priorities, practices, and worldview of that discipline. 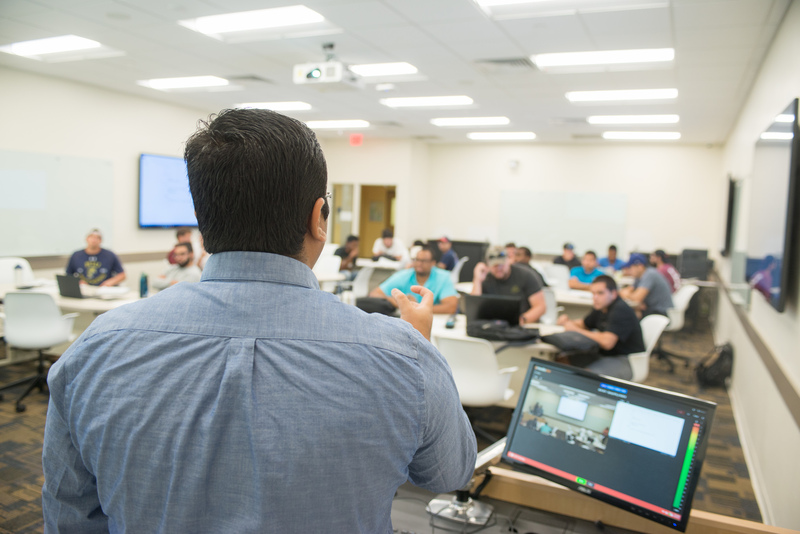 Why an engineering and computing education at FIU? At FIU, discipline-based education research is part of the culture and many departments. Through the STEM Transformation Institute, the School of Education and Human Development, the Center for the Advancement of Teaching and now SUCCEED, students join a strong community of researchers. The structure of the program facilitates engagement with this community, which includes undergraduate, graduate, and postdoctoral researchers from a variety of disciplines. Diversity is at the core of FIU’s culture and the culture of this department. As a school, this thread will be at the forefront of our discussions and work, as we strive to support equity and inclusion of backgrounds, perspectives and experiences at FIU and beyond. In Miami, the college has strong connections to the local community, including Miami-Dade and Broward county schools and local businesses. Miami, in addition, is an international hub, bringing together cultures from around the world and creating opportunities for impact both locally and globally. From Day One, students will be innovators in engineering and computing education as this school and program are co-created over the next several years. The collaborative research environment created by SUCCEED faculty and across campus enables students to conduct innovative research that prepares them for wherever their paths lead after FIU. What do people do with a Ph.D. in Engineering and Computing Education? Administrators of engineering diversity programs, on-campus design centers, service-learning programs, first-year programs, etc. and many other positions requiring coordination of engineering, computing, and education components. Interested in pursuing this? Learning More? Contact Mark Weiss, Ph.D. for more information.